The WSIB's ongoing Rate Framework Modernization consultations with stakeholders are looking at changes to the premium rate setting process to improve fairness in the way the system is funded. By October 2, 2015, they received over 55 submissions as part of their consultations on the preliminary proposal, all of which can be viewed on their Submission Page. On December 1, 2015 WSIB will hold a session in Toronto to share an overview of some perspectives received through the consultation, as well as highlight an updated Rate Framework that incorporates some suggestions and recommendations stakeholders provided during working groups and through submissions. Information will be made available to all stakeholders, along with updates and detailed information on the Rate Framework Modernization Initiative on the Consultation website here. In the new year PSHSA will be offering a series of sector based webinars on the proposed changes to the WSIB rate structure and the implications that this may have on Schedule 1 employers. These webinars will review the proposed changes, stakeholders deliberations to date and strategies for employers to implement to mitigate impacts once the new rate structure is in place. If you are interested in joining these information sessions email Christina Machowski , PSHSA's Lead for Strategy, Planning and Analysis . Ontario's Workplace Safety and Insurance Board (WSIB) Chair Elizabeth Witmer announced November 9 that WSIB is ahead of a legislated timetable to reach financial sustainability, which will result in lower premiums paid by employers who fund the system and long-term security for workers who depend on it. Employer premium reductions and sustainable benefits for injured workers are on the horizon. Read the full news release, and download a copy of WSIB's 2015 Economic Statement. 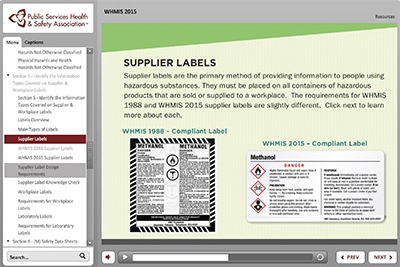 With the new standard for protecting workers from workplace hazardous materials coming into effect soon, PSHSA has now launched our new eLearning WHMIS 2015 module. For small businesses it can be an economical solution to ensure your employees are trained effectively. Access eLearning here. If you are a larger employer with an organizational Learning Management System you can purchase this program for a one-time fee which provides a perpetual license for both current and new employees. 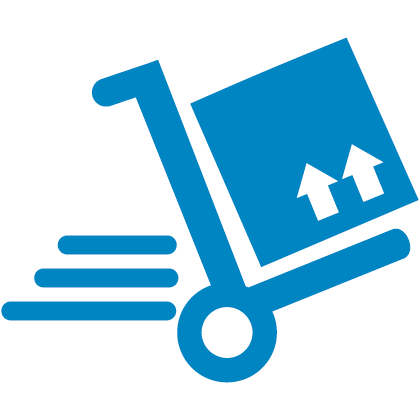 This can be a far more economical way of ensuring your organization is compliant. To inquire about either option contact elearning@pshsa.ca. For WHMIS resources and to prepare for the upcoming Globally Harmonized System (GHS) changes, click here. Train before March 1, 2016 for JHSC Training and get 20% off! Plus be certified for life before the new standard changes. Every business in Ontario with 20 or more workers is required to have a Joint Health & Safety Committee. The members of all JHSC Committees must be trained in common workplace hazards found in their particular place of work. In order to ensure the training standards maintain a high level of quality and consistency, the Ministry of Labour will be implementing a new training standard on March 1, 2016. Training now means you have the flexibility to upgrade your skills on your own time and that you can save budget for your organization. The advantage of training before March 1, 2016 means you do not need to take refresher training every 3 years to maintain your certification status. Certification under the new standard will require a full 5 days of training. Learn more about our 20% discount and to see what JHSC courses are available in your region. Take advantage now of the complimentary course fee for one chief fire official per fire department and one owner/operator per facility. It is expected that these persons have a working knowledge of fire safety planning, and the competence to carry out their assigned duties, as specified in the fire safety plan, in the building where they are employed. Up until December 31, 2016, the OFMEM will cover the course fee for one chief fire official per fire department and one owner/operator per facility housing vulnerable Ontarians. For any other person, the cost will be $125.00 per person for online learning, and $150.00 per person for traditional classroom learning. With the training offer still in effect for the coming year PSHSA wants to remind workers in the Health and Community Services Sector, Municipal Sector and Fire Emergency Services Sector of the complimentary course fee to facilitate compliance with these Fire Code Requirements. OFMEM are in the midst of completing revisions to the class training however eLearning is available and meets the requirements. The eLearning training option is convenient and does not need to be completed in one sitting; one can stop at any point and return to that same point at a later time so you can train at your own pace. Register now. Now that the holiday season will soon be upon us, you may be hiring part-time seasonal workers within your organization. 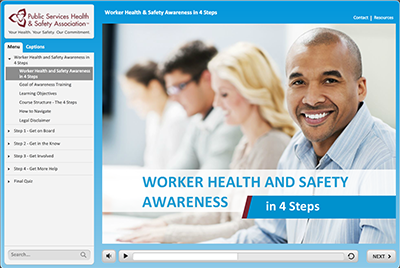 Employers are required to provide supervision, information and instruction to all workers, including new and young workers, on how to protect their health and safety in the workplace. This includes information about safe work policies, measures and procedures specific to the workplace and the duties the worker will perform. Employers need to provide Mandatory Worker Awareness Training as well as Job Specific Health & Safety Training and provide information to new and young workers especially this common time of year when young people are temporarily entering the workforce. If fulfilling the role of supervisor as defined in the Occupational Health & Safety Act, Supervisor Awareness Training is required. Click to register or click to learn more. Download the complete Geriatric and Long-Term Care Review Committee 2013-14 Annual Report. PSHSAs Executive Director Health & Community Services, Henrietta Van Hulle was interviewed October 30 for Global's 16×9 feature on Workplace Violence in the Health sector. The feature helps to build awareness for this prominent issue. To view other important resources and updates on this issue visit our page. Blitzes and initiatives are announced in advance and results are reported after they are completed. The Ministry of Labour tracks each sector to determine if there are long-lasting increases in compliance and decreases in injuries. To learn about upcoming blitzes click here. Wednesday November 18, 2015 PSHSA participated in the Schedule 2 Employers Quarterly Group Meeting. Executive Director Government Municipal and Public Safety, Monica Szabo covered a range of relevant topics around emerging issues, trends and updates pertaining to health and safety. PSHSA is participating in union and employer consultations and will have senior leadership representation at all the scheduled sessions. These consultations cover a variety of topics, including proposed legislative amendments, implementation of new programs/services and strategic discussions on how the system can focus its efforts to reduce occupational illness and injury in Ontario. December 2, 2015 PSHSA, Monica Szabo will be speaking at the Ontario Recreational Facilities Association General Meeting in partnership with the Ministry of Labour. ORFA will be providing updates on air quality in recreation facilities and PSHSA will provide an overview of new training products and services while the MOL will provide an update on blitzes. PSHSAs regional consultant Derek Morgan will be speaking at Anselma House in Kitchener to increase participants understanding of the impacts of domestic violence in the workplace. The speaking engagement also covers strategies and local resources to assist employees. 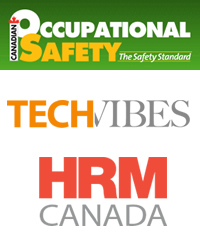 Human Resources, Health and Safety and Employee Supervisors. To register. Public Services Health and Safety Association clients are eligible for a special registration rate. Enter the rebate code PRM4 when you register to save $200 off the regular registration fee. In the "how did you hear about this event" section, enter priority code "Partner" to receive priority registration. The OANHSS Administrator Leadership Program offers a six-day intensive learning opportunity focused on the core competencies for long term care home administrators. This program meets the requirement for administrators of 100 hours of instruction time in long term care home administration/management under the Long-Term Care Homes Act, 2007. PSHSAs Regional Consultant Janice Gallant will provide an overview of employer obligations in the area of violence prevention as well as strategies for identification of risk areas, risk elimination, control and organizational resiliency building including system development as well as mechanisms for engagement, communications and accountability. Through the use of library specific scenarios, the session will provide practical tactics and solutions that employers can use to prevent workplace violence. Guest speaker is Dr. Matts-Åke Belin, Project Manager at the Swedish Transport Administration and pioneering architect of Vision Zero in Sweden. Dr. Matts-Åke Belin has been instrumental in making Sweden a leader in the area of road safety. Since 1997, the country has seen traffic fatalities decrease from 7 per 100,000 people to just under three. After a brief overview of the development and implementation of road safety programs in urban environments, Dr. Belin will be available for a brief question and answer period. Join Parachute to learn how road safety can continue to evolve in quickly growing urban environments. Refreshments and registration will begin at 8:00 am, with the lecture running from 8:30-9:30. Note: admission to the event is by donation. 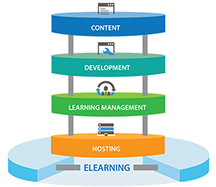 Did you know that any courses currently available in our eLearning Library can also be uploaded to your internal Learning Management System (LMS). As we continue to look at how to best address workplace fatigue and what are the elements of a fatigue risk management system, we have been receiving press coverage on our research kick-off. Read our latest press release from our Newsroom. We also received attention from the following publications describing our progress for Fatigue Science. To request a specialized Ergonomic assessment find a PSHSA consultant in your region. We have submitted a proposal to the Ministry of Labour to develop a lab safety program. This program will include videos covering the 7 key areas of risks found in a lab environment. Should we be successful in our funding request we will build this program for school boards, community colleges and universities in Ontario and make it available for the beginning of the 2016 academic year. For more information email Kim Litchfield PSHSA's Executive Director Education, Culture and Training Delivery. The MOL will conduct an enforcement strategy in the education sector from November 16 to December 18, 2015.
promote compliance with the OHSA and its regulations. The results of these past initiatives are available on the MOL website. PSHSA has 2 mobile confined space training units available for medium term on-site confined space training. PSHSA can deliver the confined space unit to your location and provide instructors. The unit can remain there to allow multiple departments to schedule training at one location. This provides economies of scale and reduces having to book multiple confined space courses for each department that requires this type of training. For more information email Monica Szabo. Download our Confined Space Fast Fact. November 11 Executive Director Health and Community Services Henrietta Van Hulle attended the Cancer Care Ontario Conference on Occupational Disease. Topics spanned Asbestos exposures to radon exposures. PSHSA is working to be at the forefront of supporting occupational disease and are participating on a project involving Community Health Centres to potentially screen workers for occupational hazards. Clients are not usually asked by health providers about the hazards they are exposed to while at work. Why should providers ask clients about work and work exposures? The Completing the Picture project will have providers ask clients during clinical visits about things at work that may negatively impact their health. Six Community Health Centres will participate. The project goal is to determine whether it is feasible to ask clients about workplace hazards to complete the picture of their health histories. For more information email Executive Director Health & Community Services Henrietta Van Hulle. PSHSAs Asbestos Awareness eLearning is an interactive course is designed so participants can learn at their own pace, in their own environment and at their own convenience. November 19, 20 Executive Director Health and Community Services Henrietta Van Hulle also attended the 2015 Summit on Sexual Violence and Harassment. For more information on Ontario's plan to stop sexual violence and harassment, click here. For information on Bill 132 the act to amend statutes with respect to sexual violence, sexual harassment, domestic violence and related matters, click here. As of December 18, PSHSA will be moving from the 9th floor in our current location to the 18th floor. Please note in case you have upcoming training scheduled with us.